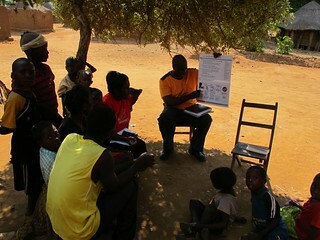 I’m just back from a day in the field in Katete and wanted to share some of my observations. These are just observations at the moment, not evidence. You’ll have wait for the midline survey for the first evidence to emerge. 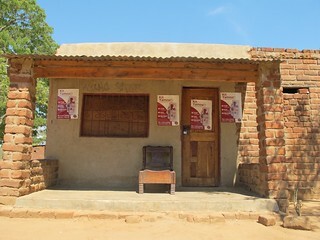 We visited 13 registered retailer,s and a 14th who we would like to recruit, and the KZF staff gave a presentation to 105 mothers at an under 5’s ‘clinic’ – a monthly gathering of mothers of under 5 children in a particular area – often where there is no actual clinic at all. Here are my observations of the day. In fact the first shop we visited was closed as the owner and his family were out cultivating (the rains are just starting). However, we did meet three enthusiastic customers of his. 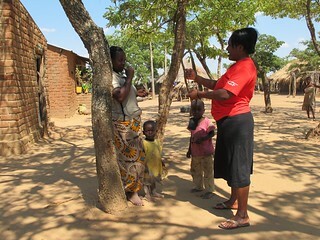 The first was Rhoda Banda (leaning against the tree in the image above) with her son Charles aged 1 year, 10 months. Rhoda bought a kit for cash (see didn’t have a voucher) and this kept Charles’ hydrated and his diarrhoea had gone in two days. Rhoda also said that she’d given Charles the full course of Zinc (1 tablet a day for 10 days). We are concerned that mothers will stop giving the Zinc when the diarrhoea stops. But this was not the case with Rhoda. 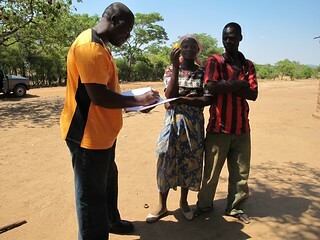 Rhoda was keen that we spoke to Elizabeth Banda and Kenan Miti and sent for them. 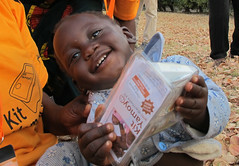 They had both bought a Kit Yamoyo as they had both had severe diarrhoea. They were incredibly enthusiastic about the product. Elizabeth actually said it saved her life. I’m not sure this is true but anyway it had stopped her dehydrating and given her body a chance to get better. This enthusiasm is really important as word of mouth is going to be hugely important for the sustainability of what we are doing. A closed shop or an open shop with no stock – we found both today – is no good to a mother with a sick child. However, this is not a problem if there is another shop within the community which is open and has stock. 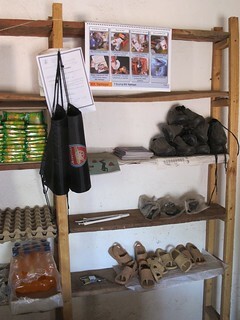 Stock-outs at individual shops are not a problem but stock-outs with the community are. 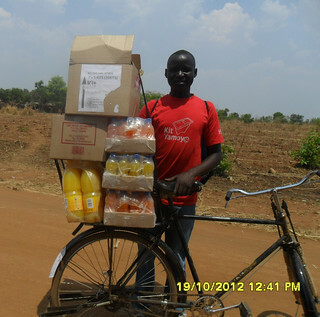 This is why we are seeking to have at least two Kit Yamoyo registered retailers in each community. We also think that competition between retailers in the same community also helps reduce individual shop stock-outs because the incentive to re-stock is less if customers have no alternative source. 4 Do vouchers reduce cash sales? Because of the problems we have been having with the mobile phone elements of the project, vouchers were not available at the start of the trial. This meant that the only option was to buy Kit Yamoyos with cash. And people did. Although total ‘sales’ have gone up now that vouchers are available, the numbers sold for cash may have gone down. I don’t think this will be problem as we need as many people as possible to have a positive experience using a Kit Yamoyo as soon as possible to fuel the all-powerful ‘word-of-mouth’ engine. The fact that we have a formal agreement with the Ministry of Health is crucial as it allows us to work together with all official activities which bring mothers and children together. One such activity is the under 5s’ clinic which brings mothers and children together for health-related activities such as growth monitoring. Today we were guest of honour (or at least that’s how it felt) at the under 5s clinic at Chinvila. This was the second visit to this group, but this time we were able to distribute 110 vouchers straight into the hands of our target group having given them an explanation of the Kit Yamoyo. There is a concern that children will not get the full benefit of the Zinc that is included in the Kit Yamoyo and that mothers will stop giving it after 2-3 days when the diarrhoea stops. However, all those who had used the kit where asked how long they gave the Zinc and they all said 10 days (the right answer). However, there was one retailer who answered the Zinc question wrongly, so the training materials had to come out. 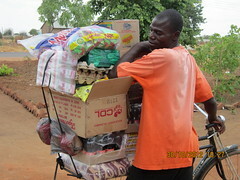 They were his training materials which were immediately to hand, carefully stored in a plastic bag. The training materials were in evidence in most shops and one shop keeper even had one of the pages dispayed from a shelf in his shop. 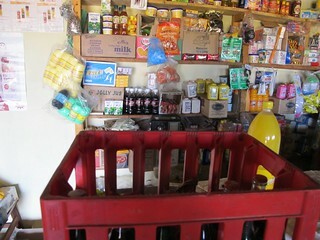 I only saw evidence of Coca-Cola in two of the shops we visited and records at the wholesaler level do not record any incidences, so far, of the concurrent purchase of Kit Yamoyos and Coca-Cola.